•Meg has been the Animal Control Officer for the Town of Chatham since 1993. 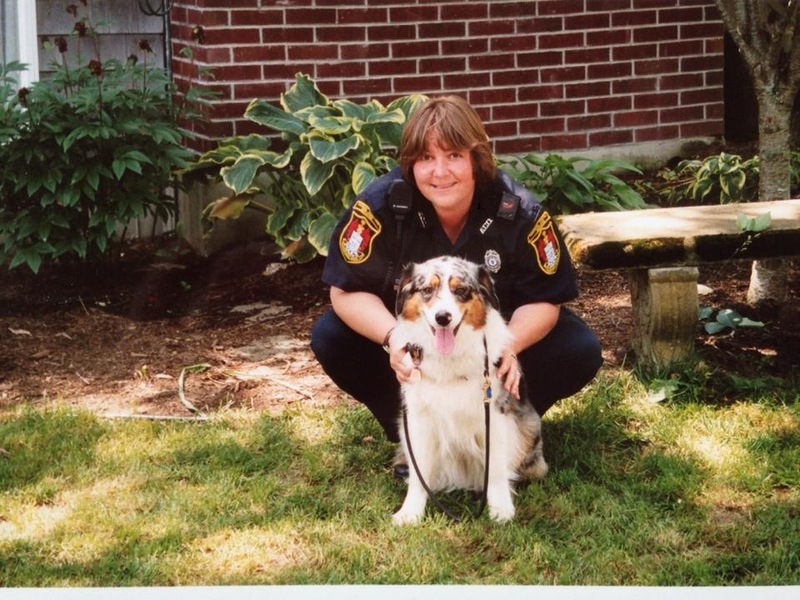 •She was also a member of the Massachusetts Canine Response Team from 1994-2005. •Assisted with the training of many wilderness, air scenting, re-find, bark alert dogs, Cadaver Dogs, Collapsed Structure Dogs and Tracking Dogs. •Has extensive experience with obedience and show handling, including as a participant/handler. •Graduated from Springfield College in 1999. •Is a member of the National Association of Search and Rescue. •Has completed courses including Managing the Lost Person Incident; Introduction to Search and Rescue; Fundamentals of Search and Rescue and SAR Tech Level. •Police Officer for the Town of Wellfleet Police Department; full time Officer since May 1994; K-9 Officer from 1998 to present. •Member of National Police Bloodhound Association, 1998 to present. •Instructor, National Police Bloodhound Association, 2007 to present. •Handler of K-9 “Beau”, a mantrailing Bloodhound trained exclusively through the National Police Bloodhound Association Guidelines, for 13 years. •Bloodhounds are trained exclusively in scent discrimination which Austin has studied and practiced for many years. •K-9 Officer Austin and “Beau” have been involved in over 125 searches in the past13 years throughout the Northeast US, including the Seamen’s Bank robbery in Provincetown in which K-9 “Beau” tracked the robbers that were apprehended and found the money as well as the weapon used. •K-9 Officer Austin and “Beau” received the highest Accommodation from The Massachusetts State Police for their efforts. 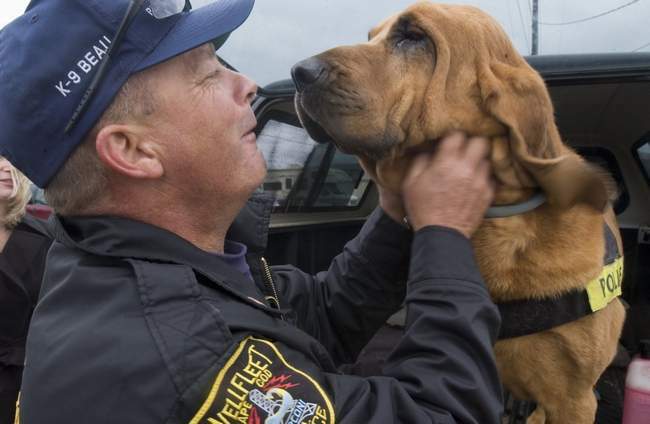 •Officer Austin is married to his wife of thirty years, Barbara, who has been instrumental in the care and training of his beloved Bloodhound, “Beau”. •The Austin’s reside in Wellfleet where they have raised a son, Clinton and a daughter, Wendy both who are involved in the family Aquaculture and Charter Boat Businesses. •Internationally recognized leader in all genres of canine training. •Over 27 years of domestic and foreign expertise as a canine handler and trainer, canine competition judge, expert witness, consultant to state and government agencies, and a Working Dog Team evaluator. •Trained nearly 2000 dog teams throughout the world; all meet or surpass the standards of NNDDA, USPCA, LETS and NPCA. •Training includes Schutzhund, Explosive Detective Dogs, Narcotic Detection Dogs, and Crowd Control Dogs.